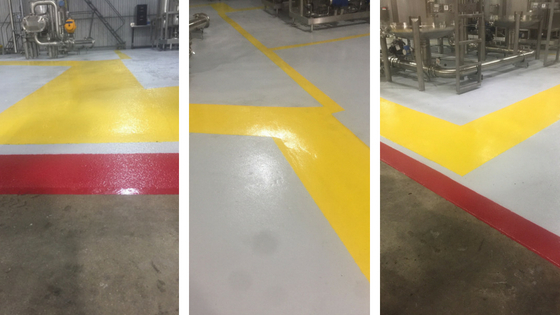 As an advocate of resourcing and soliciting partnerships with specialty coatings companies, I enjoy working on projects that employ the “best of the best” to solve clients’ asset-destroying issues. At Induron, we partner with some of the most-specialized and leading companies in the industry. These strategic partnerships not only enhance our coatings offerings, but also enable us to address plant maintenance issues upfront and directly and, ultimately, emerge as the single-source solution for our customers. The Problem: On this project, we partnered with Senior Estimator, Dan Gosney from Hartman Walsh Painting Company (St. Louis, MO) and Milamar Coatings, LLC. 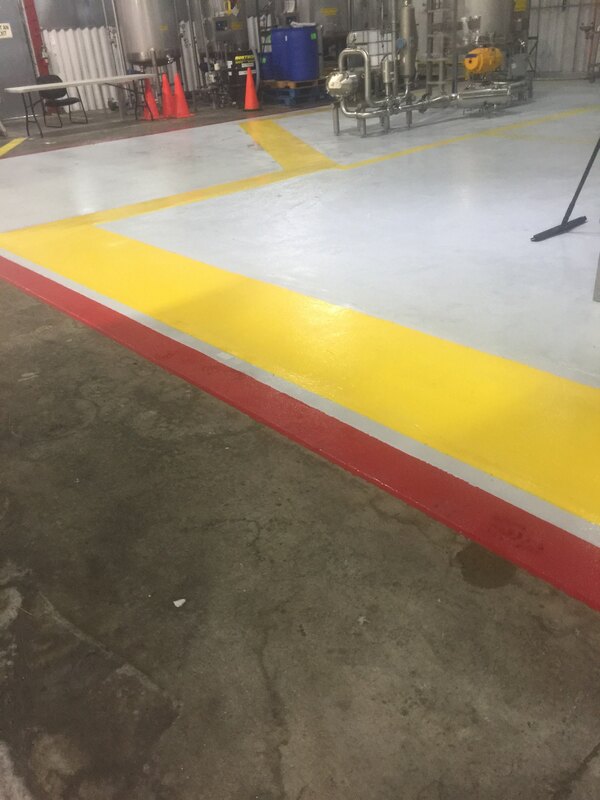 The client, a national soap and anti-bacterial company, was experiencing aggressive wear and needed chemical resistance on its floors to protect them. The Solution: Induron and our partners recommended refurbishing the concrete using a 100% trowel down, reinforced cladding material and a 99% solids self-leveling epoxy seal coat to resist further wear and provide a high-gloss, color-coded finish. Check out the finished floor in the photos below! Induron is well-known for our innovative technology in the tank, containment, and water and wastewater industries, but our advanced coatings are also applicable and effective in the general maintenance and specialty coatings markets. So, how can you solve your client’s aggressive, asset-destroying issues? Contact me or another seasoned sales representative at Induron. Together we can provide your customer with a solution that generates long-term value for their expenditures.